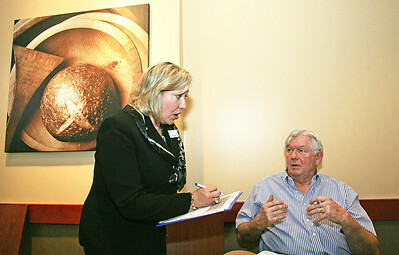 H. Rick Bamman - hbamman@shawmedia.com Blue Cross Blue Shield of Illinois community relations specialist Mary Hallock (left) assists 71 year-old cancer suvivor Harold Simmons of Algonquin at Panera Bread in Crystal Lake during an informational meeting for seniors looking for answers about Medicare and Medicaid. Recent reports estimate that a 65-year-old couple retiring on Medicare will have to spend $240,000 on medical costs throughout retirement. H. Rick Bamman - hbamman@shawmedia.com Lynn Pottebaum of McHenry purchases her medications from Mexico. Recent reports estimate that a 65-year-old couple retiring on Medicare will have to spend $240,000 on medical costs throughout retirement. 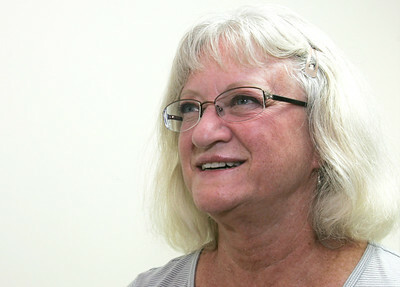 Lynn Pottebaum of McHenry purchases her medications from Mexico. Recent reports estimate that a 65-year-old couple retiring on Medicare will have to spend $240,000 on medical costs throughout retirement.